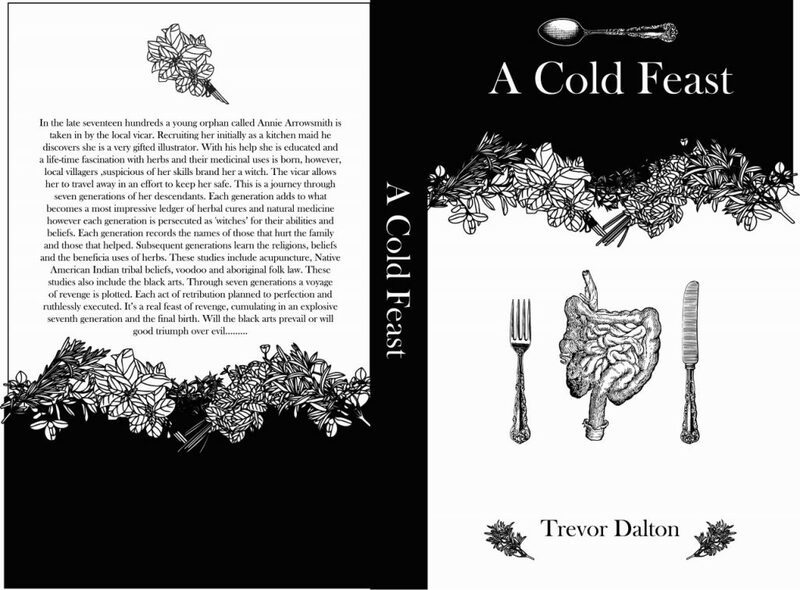 „Fantastic news, the new book, A Cold Feast is being considered by a publishing house and will be available in paperback as well as e. book format. Meanwhile the wheels have still be turning, this is the fantastic cover artwork, designed by Antony Dalton. Just love the stark Black and White, it will maybe prepare the readers for some of the scares contained within. Simply stated the story is as follows: ‚After two hundred years of persecution the seventh generation of Annie Arrowsmith’s family set about exacting retribution. The book traces the history and abuse of the family and the acts of revenge resulting in an explosive final course in this spine tingling feast of revenge. Read , enjoy and review. Meanwhile I am looking at the back catalogue and seeking opportunities to bring it to you in either paper back or e.format. Taking a small break but in July work on the sixth book will commence.